1. 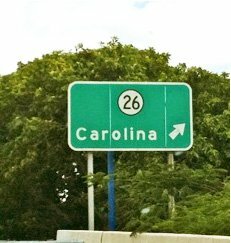 Take 26 ESTE (East) Carolina on the right / salida means Exit. Stay in the Left lane following the 26 Este Fajardo / Carolina. 2. 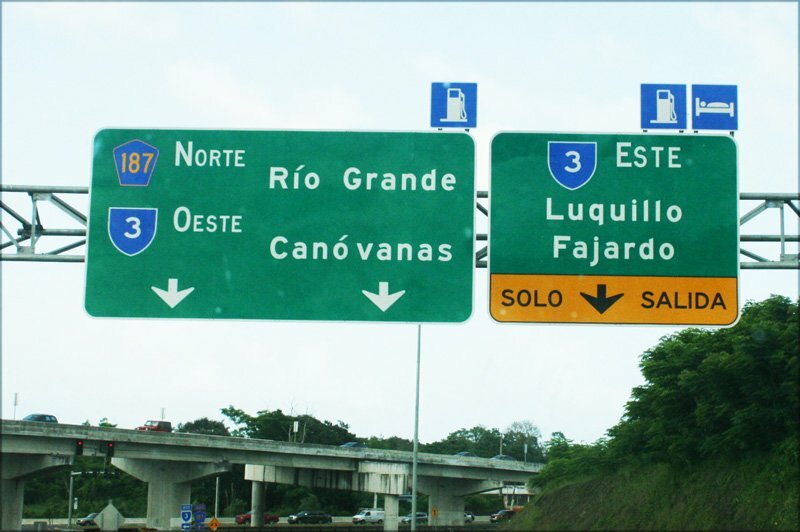 From there get on the Expressway # 66 Este towards Canovanas / Fajardo. 3. Take expressway (66) until the end. 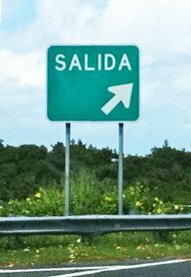 You will see this signs. 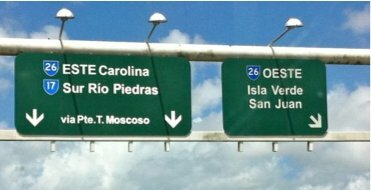 Go #3 ESTE towards, Luquillo , Fajardo. 5. 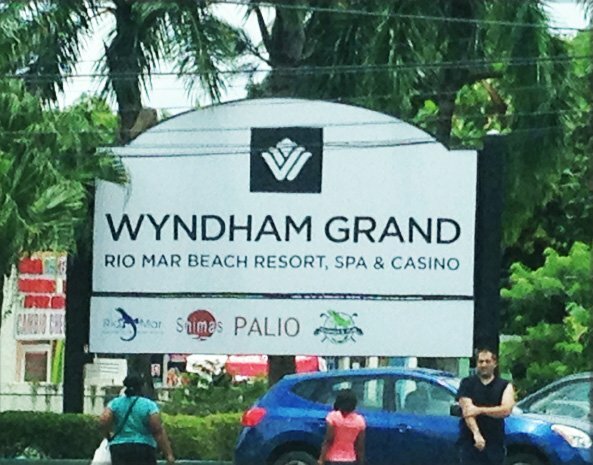 Continue up hill and turn right when you see the Wyndham Rio Mar Resort entrance on the right. 1. After you pass the guard you will go straight down the hill always following the main road. 2. At the bottom you will turn left (tennis courts will be on your right) follow the road and it will turn left again. 3. You will pass the hotel on your right and continue on the main road after you pass Ocean Villas and Ocean 16, (you are always going to have golf courses on your left). You will come to a small hill upwards; there you will see a guard.